When it comes to the heat of summer and Major League Baseball, the biggest event of the season is undoubtedly the All-Star Game where the game’s biggest stars gather for an evening of big hits and big smiles. To assist in the celebration, Polaris partnered with Discovery Channel’s Diesel Brothers in the creation of two custom built side-by-sides. 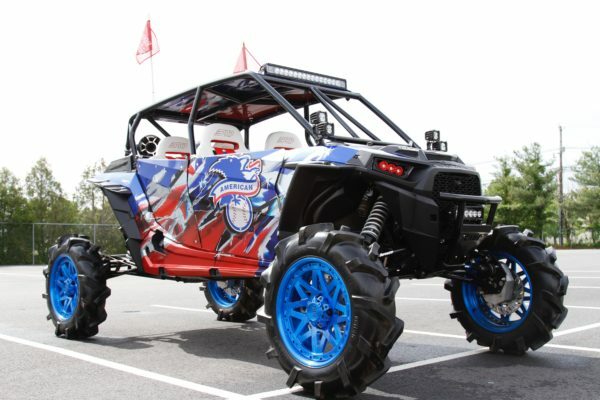 Featuring a RZR XP 4 and a RANGER Crew 1000, each is worthy of all-star consideration and both feature stand-out red, white, and blue markings with American League and National League logos.